Even the most active of runners can only eat so much. That’s why it’s essential that you make the most of the calories you consume. Sadly, in today’s food environment it’s all too easy to fall prey to edible landmines that that will eventually zap the energy from your stride. For optimal performance and health, you want to instead focus on filling your grocery cart with foods whose calories also come with a host of nutritional perks to keep you running ahead of the pack. And there is no better place to start than with these 10 nutritional overachievers which are ready to form the backbone of a diet geared towards peak health and setting the pace. And to help you get the most out of them, we’ve cooked up delicious recipes you’ll be eager to run to the kitchen for. muscular blood flow that could bolster endurance performance. What’s more, the pink hue of salmon hails from an antioxidant called astaxanthin which has been shown to help lessen muscle damage in response to big-time training. In lieu of steak or a ho-hum chicken breast, serve up grilled, pan-seared or roasted salmon for dinner. Salmon can also be used in sandwiches, salads, stews and tacos. Also consider working smoked salmon into scrambled eggs, lunch wraps and pasta dishes. Farmed salmon, often just labelled “Atlantic,” is ubiquitous and fairly inexpensive, but consider splurging for what is widely considered the more sustainable and better flavoured wild salmon. To keep the price down, opt for frozen fillets, which are often still of very high quality. 1. Preheat oven to 300 F. Place salmon on a greased or parchment paper lined baking sheet and season with salt and pepper. Bake for 15 to 18 minutes, or until fish is just barely cooked through in the centre. and heat 2 minutes. Place blueberries, 1 teaspoon vinegar, thyme, honey, lemon zest, cinnamon, and a couple pinches of salt and black pepper in pan. Bring to boil, reduce heat to medium-low and simmer, uncovered, for 15 minutes. Stir in remaining vinegar. 3. Serve salmon topped with blueberry sauce and garnished with chives. More runners should go nuts for nuts like almonds. It’s been shown that people who regularly eat nutrient-plush almonds and their ilk have an improved overall diet quality including higher intakes of several must-have vitamins and minerals, which is vital for the running crowd due to increased nutrient needs. In fact, a Journal of the International Society of Sports Nutrition study discovered that a daily almond habit may improve endurance capacity in athletes. And despite the fairly lofty calorie count (much of which comes from heart-healthy unsaturated fats), research shows that crunching your way through a handful of almonds each day will help, not hurt, your race to trim the waistline. Almonds can add great crunch and improved nutrition to salads, oatmeal, granola, yogurt, DIY energy bars, pancake batter, curries and a plate of pasta. Also consider slathering almond butter on toast or sliced fruit like apples and blending it into smoothies. For the cleanest product, look for raw, unsalted almonds. added sugars in the ingredient list. 1. Preheat oven to 325 F. Spread almonds out on a baking sheet in an even layer. Roast for 10 minutes, or until a few shades darker and fragrant, stirring once or twice. Be very careful not to burn the nuts. 2. While the nuts are still warm, place them in a container of a food processor or high-powered blender and process until the mixture becomes creamy, about 2 to 4 minutes, depending on the machine you are using. Scrape down sides of container as needed during blending. Once creamy, blend in vanilla and spices. For a creamier nut butter or if needed to help with blending, blend in oil once the nut butter begins to form. Taste and adjust any spices if desired. You can also blend in some maple syrup. more sustainable protein option compared to resource heavy meats like beef. Use lentils in salads, soups, veggie burgers, tacos, dips and as a stuffing for items like squash and bell peppers. Beyond the more customary brown or red lentils, look for fanciful French (Puy) or black (beluga) lentils which hold their shape during cooking making them ideal for salads. Unlike dried beans, lentils do not require an annoying pre-soak prior to cooking. 1. In a medium-size saucepan, combine lentils and 3 cups (750 ml) water. Bring to a boil, reduce heat and simmer until tender, about 25 minutes. Drain and let cool to room temperature. 2. In a large bowl or container, toss together lentils, carrot, bell pepper, tomatoes, parsley, green onions, feta and dried fruit. In a small bowl, whisk together olive oil, lemon juice, thyme, salt and pepper. Toss dressing with lentils. vitamins, minerals and even disease-thwarting antioxidants. Research also demonstrates that people who include eggs in the morning, which promotes satiety, are better capable of winning the battle of the bulge versus people who focus only on high-carb bagels or cereal. So let eggs rule the roost at breakfast – and lunch or dinner. Beyond scrambled, hard-boiled or over-easy, turn to eggs to star in frittatas, tacos and egg salad sandwiches. And a simple poached egg can make almost any dish better. Try to seek out a local egg producer who supplies eggs from hens that are set free to forage on grubs and wild grasses. Recent studies show true free-range eggs are richer in vital nutrients like omega-3 fats and vitamin D.
Fatty in a good way, avocado is definitely having its day among foodies. And more runners should jump on the avocado bandwagon. This nutritional overachiever is rich in cholesterol-lowering monounsaturated fat for better heart health, fat-fighting fibre, potassium, the vision-protecting antioxidant lutein and folate. By helping cells divide properly, increased intakes of folate have been shown to lower cancer risk. And if you’re often feeling peckish shortly after a meal, try adding some avocado. Nutrition Journal found that subjects who included half an avocado during lunch experienced less desire to eat afterwards. Slices of avocado can instantly make salads, tacos, sandwiches and chili better. Food blogs are now saturated with creative ways to put the fruit to good use that go way beyond guacamole, including creamy pasta sauce, chocolate pudding, green smoothies and salad dressings. avocado is likely at its creamy best. Brown under the stem is a sign the fruit is becoming overripe. If the stem resists removing, the avocado is not yet ripe enough for use. 1. Place red onion in a bowl of cold water and let sit 15 minutes. Drain onion and toss with avocado, tomato, jalapeno, basil, lime juice and salt. 2. Whisk eggs with salt and pepper to taste. Place eggs in a greased cold skillet and turn the heat to medium-low. Once the eggs begin to cook, use a spatula to gently push the eggs around the skillet until they have formed soft curds and are barely set. Remove eggs from skillet. 3. Top tortillas with spinach, eggs and avocado salsa. When it comes to starting your day off with some energizing carbs, look no further than steel-cut oats. These are produced when whole oats are passed through steel blades cutting the grains into pellet-like pieces. A recent Annals of Internal Medicine study found that people who consumed oatmeal for breakfast experienced greater feelings of fullness and lower calorie intake at lunch compared to when a ready-to-eat boxed cereal was consumed. Oats contain a special fibre called beta-glucan that can slow down digestion leading to the increased satiety that will keep vending machine temptations at bay. And because steel-cut oats produce heartier oatmeal, they can be even more filling than a bowl of soggy rolled oats. Oats also possess prebiotic powers. Beyond oatmeal, you can use steel-cuts like you would rice and quinoa in savoury dishes such risotto, salads, and soups. Slower cooking steel-cut oats are not conducive to harried mornings. But fret not, you can still get a bowl of hearty oatmeal on the table at race pace with this nifty kitchen hack. Place 1 cup steel-cut oats in a pan along with three cups water and a pinch of salt. Bring to a simmer, turn off heat and let soak covered overnight. In the morning, simply heat the oats along with any other desired add-ins like milk and spices over medium-low heat until warmed through. 1. Place oats in a large bowl, cover with water and let soak for at least 2 hours. 2. Preheat oven to 350 F. Drain oats, return to bowl and stir in apple, flour, almonds or walnuts, cinnamon and salt. In a separate bowl, lightly beat eggs and stir in milk and maple syrup. Add wet ingredients to dry ingredients and stir to combine. 3. Divide mixture among 12 greased muffin cups. Bake for 20 minutes, or until set. Let cool in pan for a few minutes before un-moulding. Cool further on a metal rack. 4. To reheat cakes, microwave on High for 1 minute. Can serve topped with dollops of Greek yogurt and/or blueberries. mvp of the produce aisle. That’s because it’s saturated in a nutrient bonanza that includes huge amounts of antioxidants, vitamin C, bone-building vitamin K and beta-carotene. In the body, beta-carotene can be converted to vitamin A to improve immune and eye health. What’s more, a recent Harvard study determined that a diet which includes plenty of low-calorie cruciferous veggies like kale is an important ally in fending off unwanted weight gain. Salads are a natural home for kale, but it can also shine in soups, stir-fries, pasta dishes, quesadillas, hashes or even as a pizza topping. Also try the Pinterest sensation – kale chips. You can now find convenient tender, less bitter tasting baby kale in grocers, which can be used in dishes minus the need for chopping. If you find the flavour of kale too strong when eaten raw, try gently sautéing or steaming the chopped greens to mellow it out. Using your hands to massage raw kale with an oil-based vinaigrette also works to subdue its flavour by breaking down compounds that give kale its slight bitter bite. 1. Preheat oven to 400 F. Toss potatoes with oil and spread on a baking sheet. Roast for 20 minutes, or until tender. Spread the kale over potatoes, return to oven, turn off the heat and let rest 5 minutes. The kale will wilt in the residual heat. Remove vegetables from oven and let cool for about 20 minutes. 2. In a medium bowl, whisk together yogurt, sun-dried tomatoes, chives, mustard, lemon zest, lemon juice, salt and black pepper. Toss yogurt mixture with cooled vegetables (this will prevent soupy salad) until everything is coated. Top with pumpkin seeds. They might be blue, but there is nothing sad about these health bombs. The main perk that blueberries bring to a runner’s diet is sky-high levels of antioxidants. It’s thought that greater intakes of antioxidants can help athletes recover better from training by reducing oxidative stress in the body and the inflammation it brings about. The particular type of antioxidants in blueberries called anthocyanins have shown to also boost brain power. Another nutritional highlight of blueberries is impressive amounts of vitamin C. A European Journal of Nutrition study linked higher intakes of vitamin C with improved exercise performance. And they can add natural sweetness to foods without much of a calorie worry or the health risk associated with processed sugars. Eating more blueberries is as simple as adding them to oatmeal, smoothies, yogurt, salads, pancake batter and nearly any dessert. On a savoury note, try using them in sauces and salsas for meats like pork or fish. When in season, consider loading up on local blueberries from farmers’ markets or pick-your-own farms and freeze the bounty for future use. And when out of season, go with bags of frozen blueberries, which may actually be more nutrient-dense than fresh versions trucked in from afar. Frozen wild blueberries are particularly rich in body friendly antioxidants. Made by straining away the excess liquid from regular yogurt, deliciously thick and creamy Greek yogurt is a protein powerhouse – at least twice as much as traditional types. Recent research shows that consuming highprotein Greek yogurt as a snack can help quell hunger for longer and put the brakes on the overeating. As a bonus, the cultured dairy product is home to beneficial critters known as probiotics. 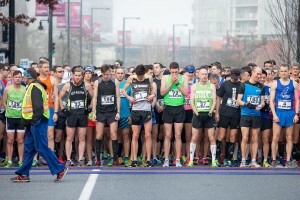 A raft of research is piling up showing that probiotics are a vital part of an athlete’s diet by working to improve digestive and immune health (think fewer cases of the sniffles) and perhaps even play a role in achieving a healthy body weight. puréed soups, tuna salad and baked goods. Or use as a replacement for sour cream in recipes. Flavoured Greek yogurt like vanilla or lemon can contain two to three times more added sugar than plain versions. So opt for plain yogurt and sweeten a bowl naturally with items like blueberries. 1. Heat a skillet over medium heat. Add steel-cut oats and heat until a couple shades darker, shaking the pan often, about three minutes. in a blender or food processor container and blend into a thick, smooth mixture. Add a bit more milk if needed to help with blending. 3. Place blueberry mixture in a bowl and top with half of the steel-cut oats or any other desired toppings such as hemp hearts, cacao nibs, fresh berries, coconut flakes or chopped nuts. Teff It turns out that teff – a very tiny whole-grain indigenous to Ethiopia – might be the secret sauce that allows Ethiopian runners to breeze by the competition (well, save for those pesky Kenyans). Used to make the flatbread injera, malty-nutty tasting teff contains higher levels of iron than other grains. That’s significant considering iron’s role in helping to transfer oxygen to working muscles via red blood cells to generate energy. In fact, a British study found that endurance athletes who consumed bread made with teff had improved iron status at the study’s conclusion. 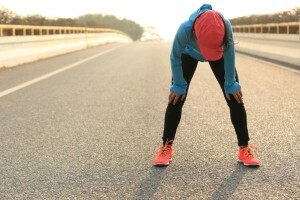 Keep in mind that iron deficiency can be more prevalent in endurance athletes, particularly female runners, which can manifest itself as sluggish training and races. More proof that great things come in small packages: teff provides other important items like fibre and the bone-strengthening trio magnesium, calcium and phosphorus. So it’s time to show your diet some teff love. Teff expunges its starch during cooking which can be exploited to make nutritious puddings, riffs on polenta and breakfast porridge similar in consistency of cream of wheat. It can also be used to thicken soups and stews. Teff flour can be used to add an iron boost to pancakes, waffles, cookies, flatbreads and brownies. As with rice and quinoa, teff is naturally gluten-free making it a good choice for runners who are steering clear of gluten. 1. Bring 2 K cups water, teff and a couple pinches salt to a boil in a saucepan. Reduce heat and simmer over medium-low heat until teff is tender and a gelatinous mixture has formed, stirring occasionally to prevent clumping, about 15 minutes. Add more water if needed during cooking. Let teff cool for several minutes. 2. Place almond or coconut milk, banana, cooked teff, protein powder, cocoa powder, molasses or maple syrup, vanilla, cinnamon, and ginger in food processor or high powered blender container and blend until smooth. Chill pudding for at least 2 hours before serving. 3. Serve garnished with desired toppings such as berries, nuts, coconut flakes or cacao nibs. Matthew Kadey is a James Beard Award-winning food and nutrition writer. We’ll feature recipes from his upcoming book in our May/June issue.